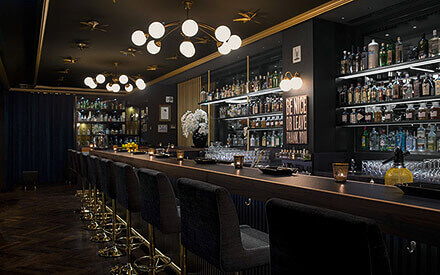 Far more than a hotel bar – the multi-award-winning and popular AMANO Bar stands for cocktail pleasure at the highest level. 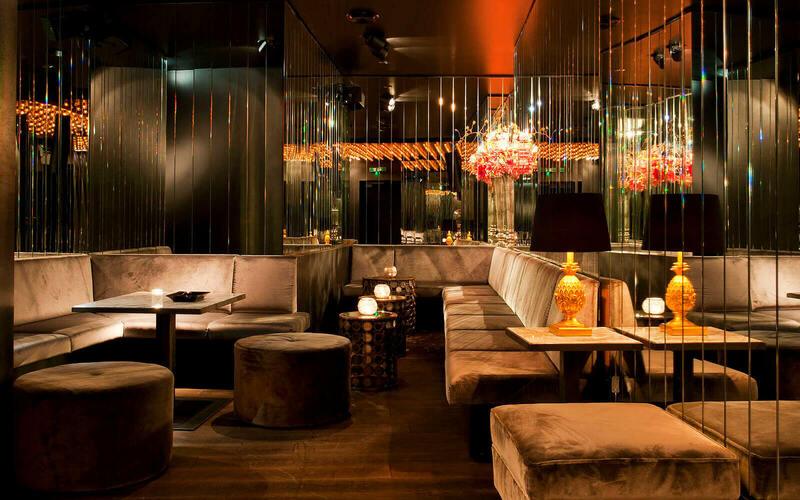 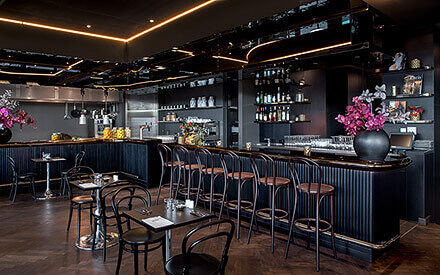 In addition to the innovative drinks menu, this high-end location offers a top class stylish ambience. 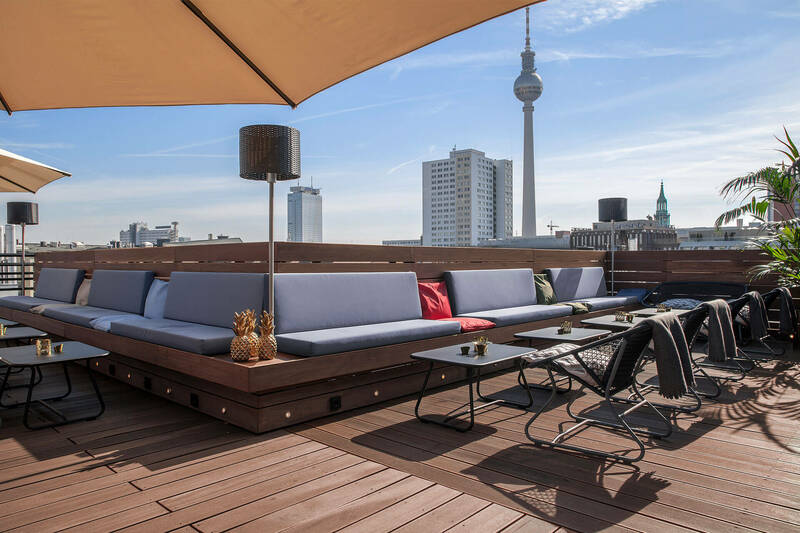 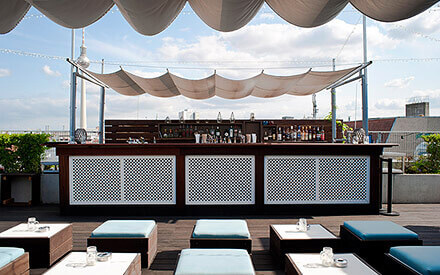 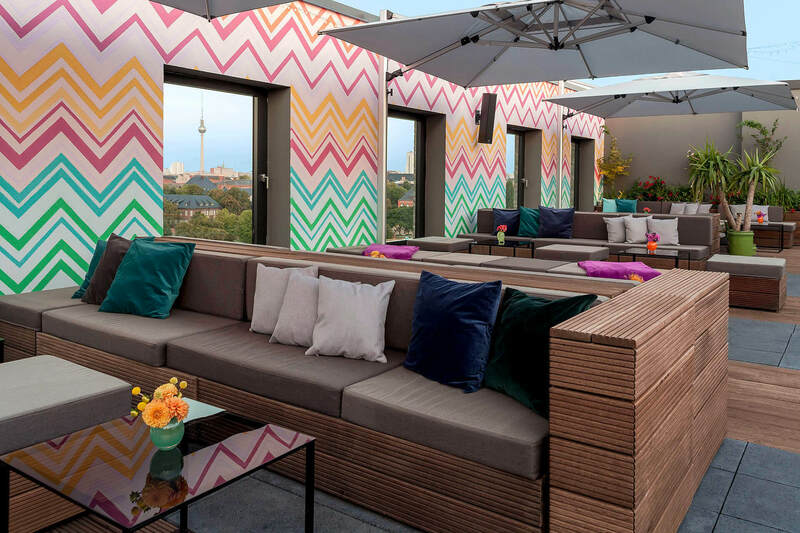 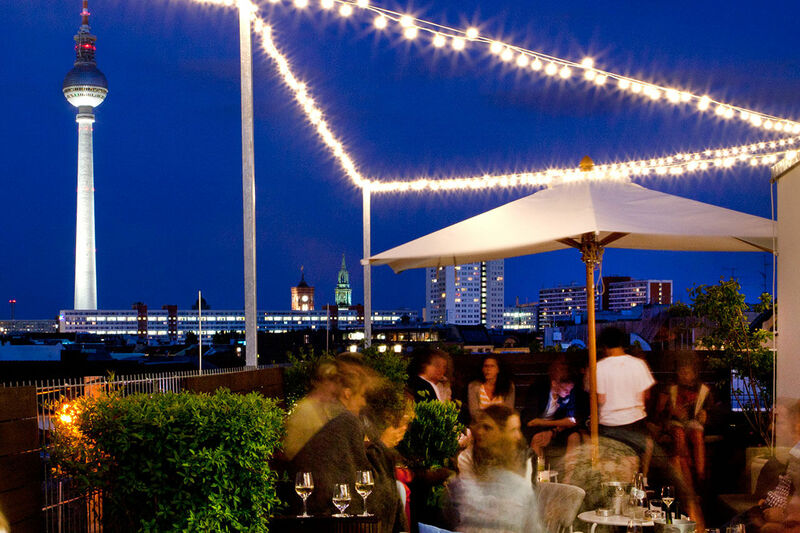 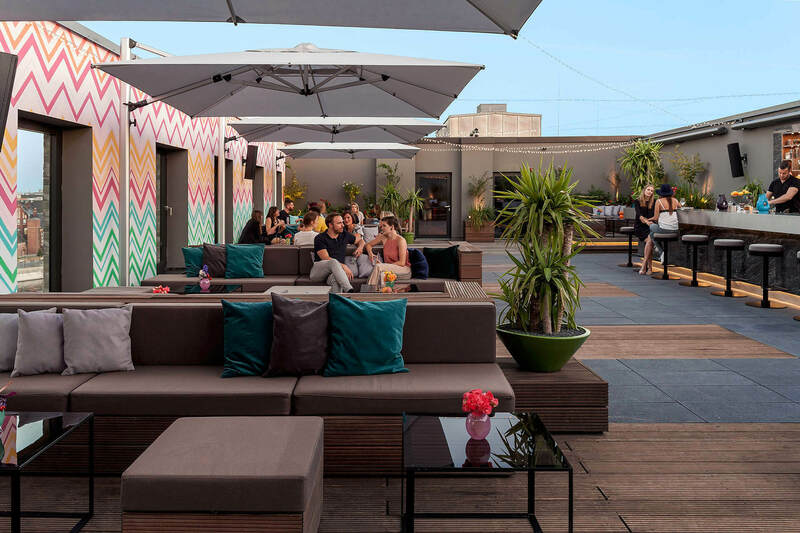 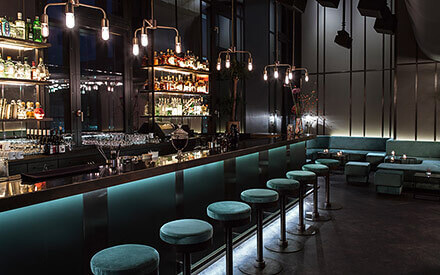 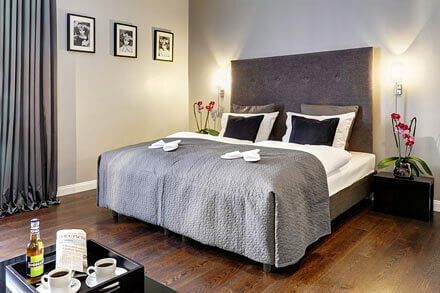 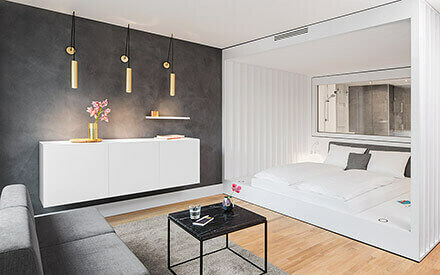 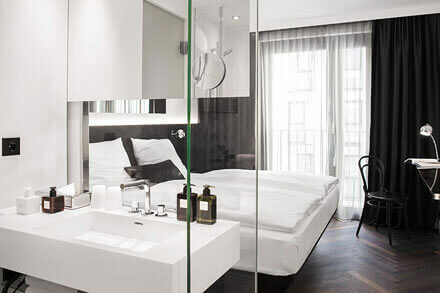 The relaxed atmosphere invites you to cool down at the end of a hard day, but also as a party warm-up location for the right start to the Berlin nightlife. 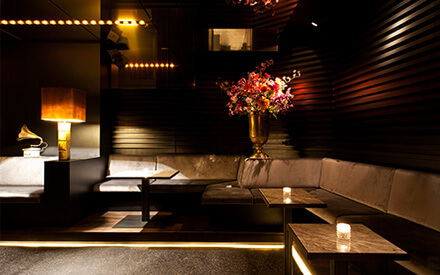 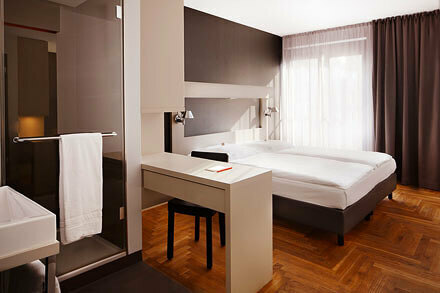 The stylish interior is characterized by warm earth and dark black tones. 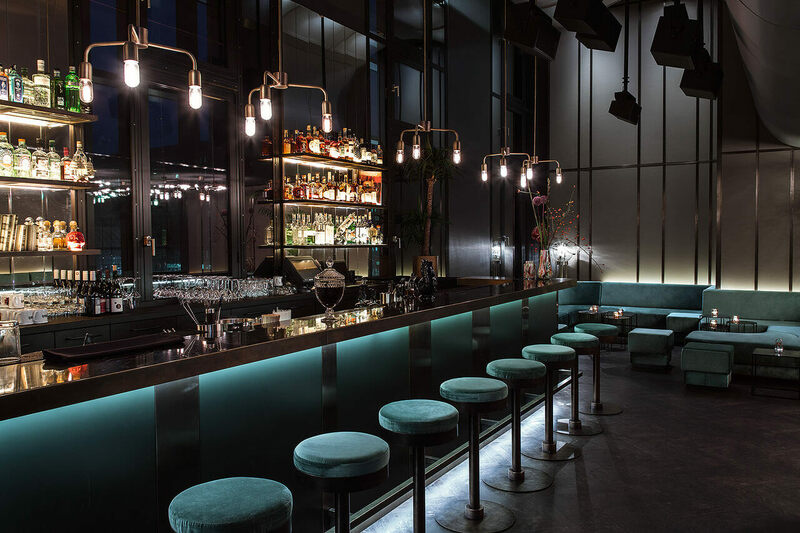 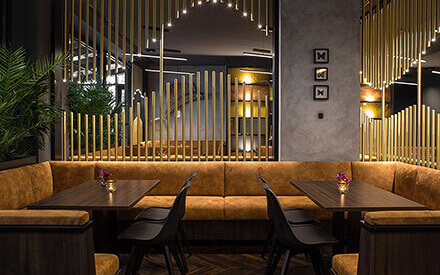 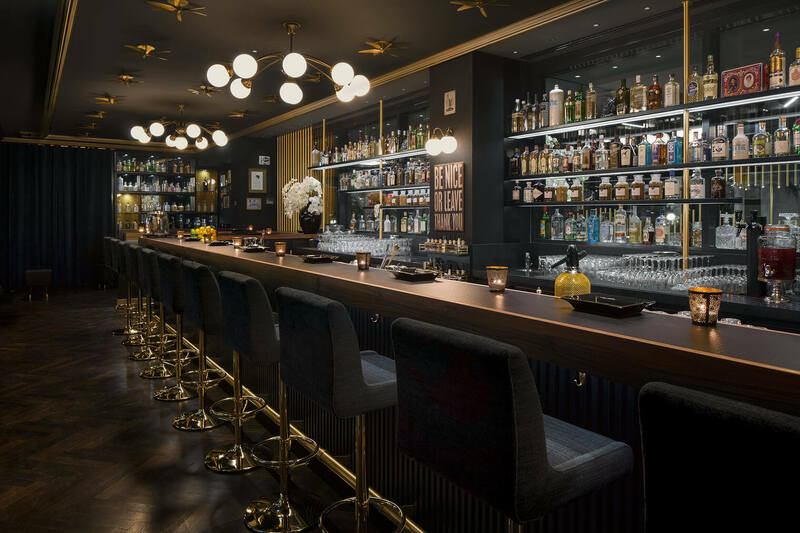 The calm and elegant design of the bar is also underlined by the unobtrusive lighting, and offers its guests a perfect atmosphere of well-being. 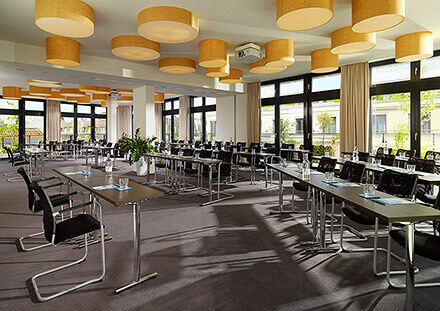 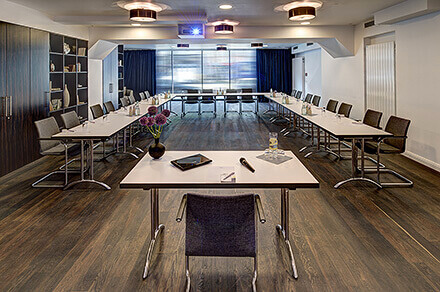 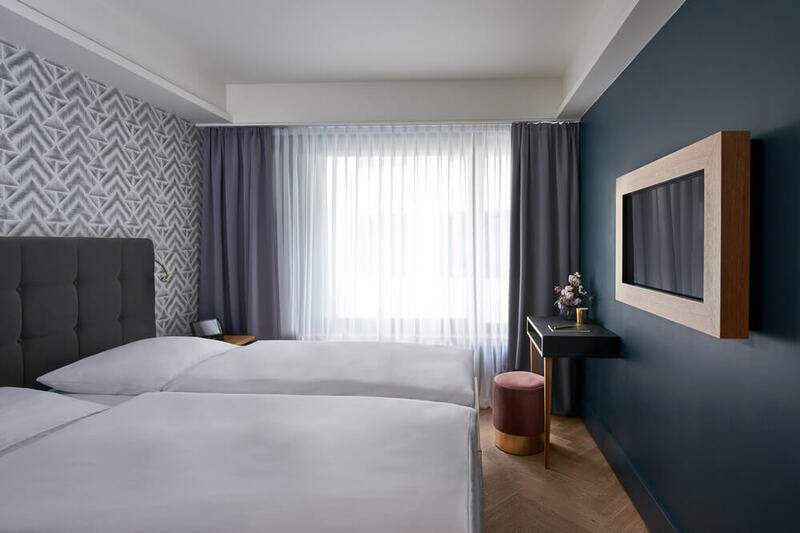 In an area of 180 sqm, 60 people can be accommodated in the cosy lounge areas, and the room offers additional standing room for 250 people. 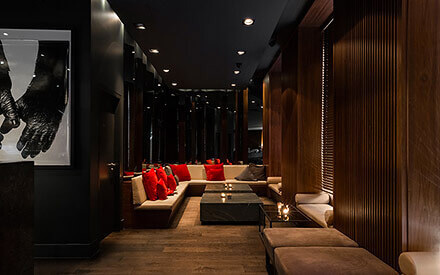 On request, the lobby of the Hotel AMANO can be made available if more space is required, and is bookable in combination with the AMANO Bar. 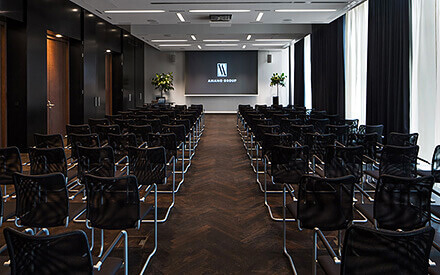 Whether for a cocktail reception, an after show party, a private business function, a get-together or an individual event – you can book this location in whole or in part for your next event. 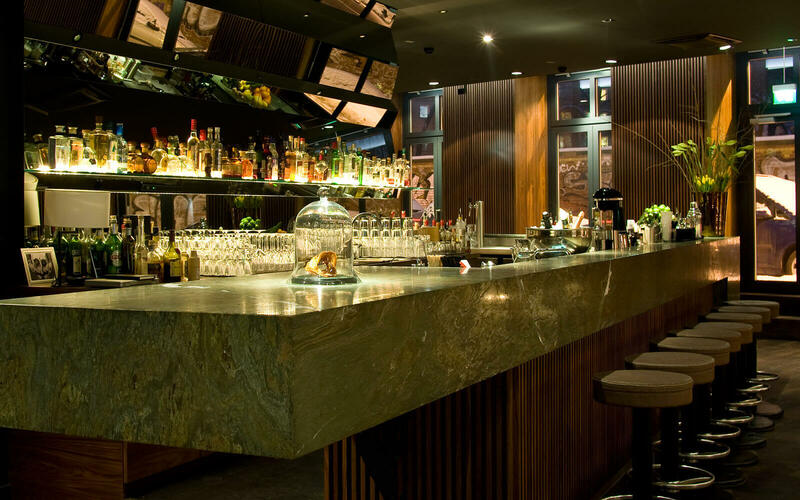 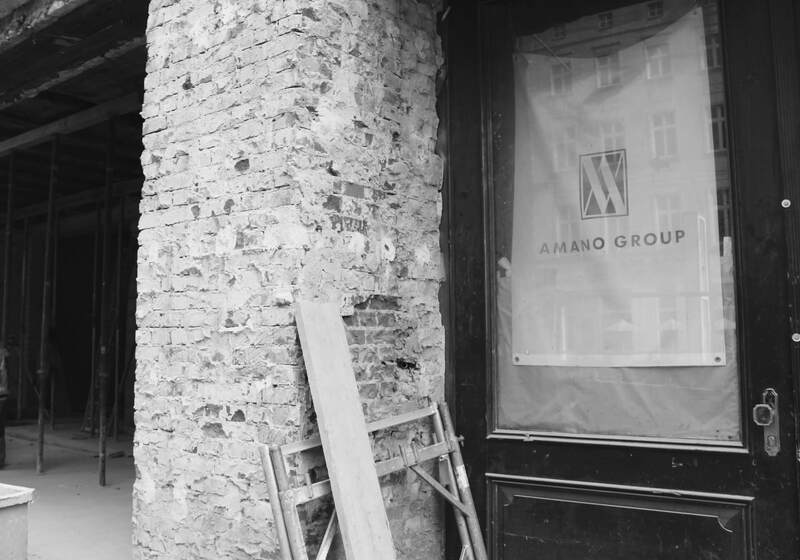 We look forward to welcoming you at the AMANO Bar. 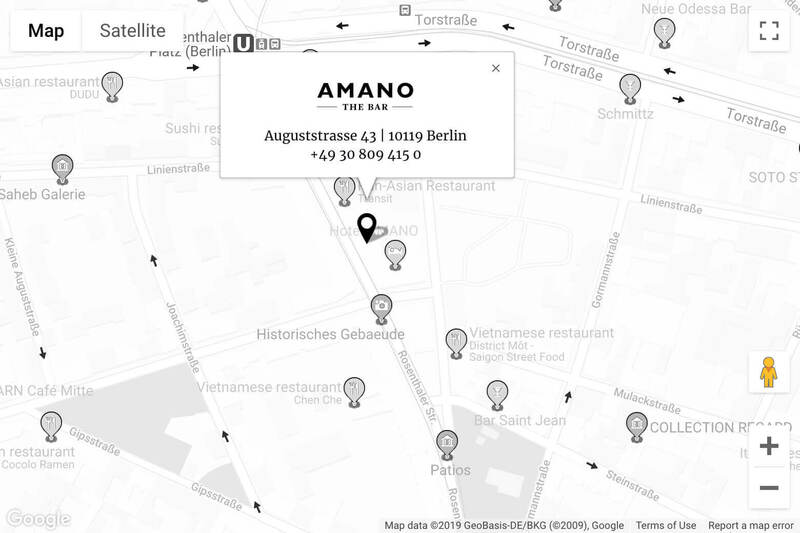 U Rosenthaler Platz (200 m distance), the tram and the S-Bahn station Hackescher Markt (500 m distance).